COR Transfer Station submitted an application for a new Metro solid waste franchise to receive putrescible (wet) solid waste and non-recoverable mixed non-putrescible (dry) waste generated within the Metro region to transport to Wasco County Landfill for disposal. COR Transfer is a locally owned and operated subsidiary of City of Roses Disposal and Recycling. 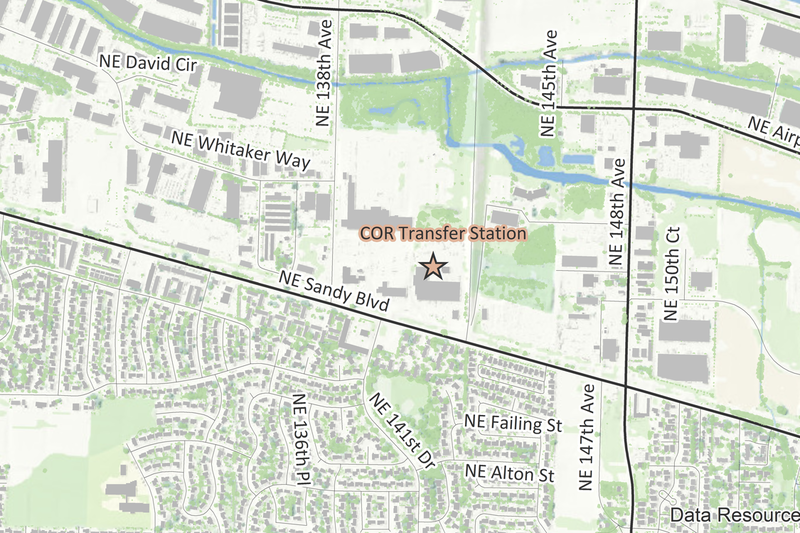 Metro and Oregon Department of Environmental Quality are hosting a community conversation and public hearing regarding COR Transfer’s application to become a transfer station and accept garbage at its facility for consolidation and transport to a landfill. The event will take place on Tuesday, April 9, 2019 from 6-8 p.m. at Shaver Elementary School, located at 3701 NE 131st Place in Portland. Light refreshments, child care, and language services will be available. Please arrive as early as 5:30 p.m. and use the RSVP link below to help us better prepare.